Mark your calendars. 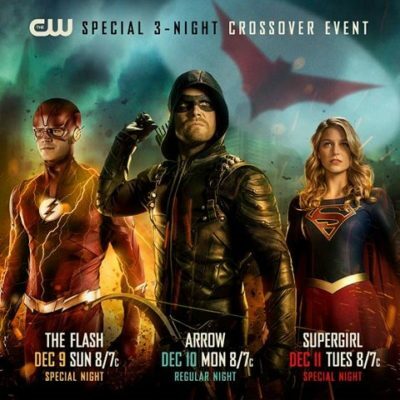 The CW just announced the premiere dates for their upcoming crossover event for Supergirl, The Flash, and Arrow. The three-night special will see the introduction of Batwoman (Ruby Rose) and include characters from the network’s many DC Comics series. The CW‘s crossover event begins with a special episode of The Flash on December 9th at 8 p.m. ET/PT and continues with Arrow on December 10th at 8 p.m. ET/PT and concludes with a new episode of Supergirl on December 11th at 8 p.m. ET/PT. What do you think? Do you watch all three CW series? 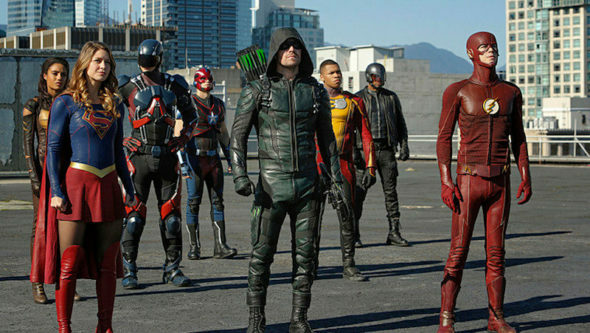 Are you excited for the crossover event? More about: Arrow, Arrow: canceled or renewed?, Supergirl, Supergirl: canceled or renewed?, The CW TV shows: canceled or renewed?, The Flash (2014), The Flash (2014): canceled or renewed? No Legends of Tomorow? Why?